Debt relief is a necessary step towards debt freedom. Of course, that is easier said than done. Although you are earning a lot of money, you cannot just dump all of that towards your debt payments. You have a lot of expenses to think about too. This is why a lot of consumers take forever to finally get rid of their credit obligations. Depending on the amount that they owe, it takes them years and even decades to say goodbye to debt. For some, being free from debt will never be a reality. Even before they can completely pay off what they owe, some consumers continue to borrow more money. Some do it by choice, while others are forced into it. Those who are forced into it wait for a miracle to help them achieve debt relief. But miracles, when it comes to finances, are hard to come by right? Not for the 350,000 students that will be granted debt relief by the US Secretary of Education. According to the news published on Gizmodo.com, more than $3.5 billion worth of student loans will be forgiven by the government. It is believed that the borrowers of these loans were victims of fraud. They were forced into taking huge student loans by the online schools owned by Corinthian Colleges. This for-profit college closed and filed for bankruptcy – in the midst of fraud charges. The Education Department will forgive a lot of federal loans owed by these students because of their enrollment to the schools of this college company. We cannot really say that it was divine intervention that caused the forgiveness of this debt but one thing’s for sure, a lot of students will be feeling debt relief because of this event. It is great that these students were kept from financial demise caused by a loan that would apparently – do them no good. Not everyone is as lucky as they are but this loan forgiveness is not the end of everything. If you want the debt relief to last, you need to maintain it. You can think of it as achieving your ideal weight after dieting so hard. Your efforts will not stop as soon as you see your target weight in the scale. You need to maintain that by eating right and continuing healthy activities like exercising. After debt relief, things will not be a tough anymore. But that doesn’t mean no effort will be spent. You need to exercise self-control and discipline to maintain the financial state that you are currently in. For those who benefited from loan forgiveness, the chances of going back into debt might be more likely to happen. That is because they did not work hard for their debt freedom. Those who worked hard and painstakingly saved every penny just to get out of debt would be more motivated to stay out of debt. If you really want to turn your financial life around, you may want to follow these important activities that will keep you debt free. First and foremost, you have to make sure that you have an emergency fund. This is the money that you will put aside so you have something to spend in times of emergencies. This is a great way to stay out of debt. Usually people end up in debt because they were forced to borrow money after an unexpected expense arose. If you want to stay out of debt, you need to be prepared for these incidents. Since you no longer have debt payments, you can use the money allocated for this to grow your emergency fund. Set up other saving goals. Once you have enough emergency fund, you may want to set up other goals that you can save up for. If you want to buy your own house, you can save up for it. The more money you can pay towards the down payment, the lower amount is needed for your home loan. If you want to replace your car for a more fuel-efficient one, it is better for you to save up for it instead of getting a car loan. We all know that cars depreciate as soon as you drive it from the dealer. That means you will be paying way higher than the value of the car – especially if you add to that the interest that will be added to your loan amount. There are other saving goals that you need to look into like retirement or the college fund of your children. According to Bankrate, American families are still finding it hard to save money for a new car, college or retirement. But with some discipline, you can remove yourself from this statistic and save up for the right goals that you want to have in your life. Another task that you can do after debt relief is to invest your money. The first two are tasks that you need to do so you can protect yourself from the uncertainties of the future. This task, investing, will help you grow your personal net worth. You can choose an amount that you are comfortable risking and invest it in stocks, bonds and mutual funds. These will help grow your money better than a regular savings account will. The interest rate of investments is bigger than that of savings accounts. Once you have taken care of the first three, you can think about rewarding yourself for freeing yourself from debt. 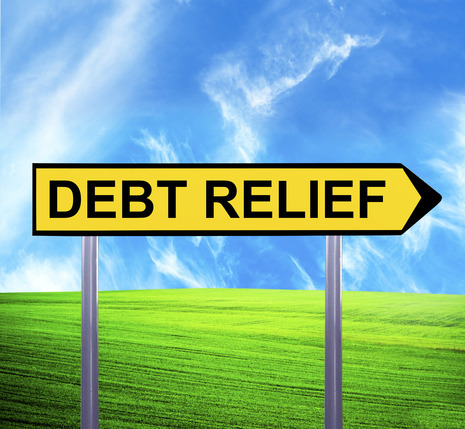 Allow yourself to feel that debt relief is the secret to a happier life by rewarding yourself. You can buy yourself something that you have been depriving yourself for so long. Of course, you need to make sure that the reward that you will buy yourself is reasonable. And that you will pay for the reward in cash. Do not splurge too much that you will put yourself in a dangerous financial situation again. Buying a luxury car may be too much of a reward. A vacation with the family should be a great prize for what you have achieved too. Now that you have achieved debt relief, you need to maintain it so you will no longer be burdened with debt again – at least, not unless you really have to. That means you need to spend your money wisely from now on. Be careful with your decisions. If you think that a purchase is unnecessary, do not buy it even if you know that you can afford to pay for it in cash. There are better places to put your money in – like your savings account or investment. Truth is, although it is very hard to get debt relief, you should not be afraid of debt. Believe it or not, there are good and bad debts. According to an article published on BusinessInsider.com, a debt is categorized as good or bad depending on how it affects your credit reputation and finances. In other words, any debt that you should take from now on should be something that will improve your financial life. If it puts money in your pocket, borrowing money makes sense. Instead of being scared of debt, you need to learn how to manage it so it works in your favor. Here are some tips that you need to follow when borrowing money. Borrow so you can put more money in your pocket. This simply means you need to choose the debt that you will borrow. Credit card debt is fine but you need to consider what you are using it for. If it will be used to buy a product that will help you function better at work, then you can go ahead and use it. Just try to pay it off in full when the bill comes so you do not have to pay interest on it. Spending on updating your knowledge and skills is also a great reason to be in debt. As long as it can help increase your ability to earn money. Have a plan to pay it back. With any debt that you will borrow, make sure that you have a repayment plan in place. It does not have to be detailed but you need to know where you will get the money to pay it off. If you do not know where to get the payment for the debt you will take, then do not borrow the money. Include the debt payment in your budget. As soon as you know the amount that you need to pay off on a monthly basis, include it in your budget. That way, you will never forget it. This will also allow you to consider how your income will deal with this additional expense. If this expense is beyond your income, you can immediately choose another expense that you can give up so you can afford your debt payments. One of the budgeting mistakes that you can commit is failing to include debt payments. You will be charged with late penalty fees if you fail to pay on time. Limit new credit until you pay your current. Lastly, you need to limit any new debt until you have paid off your existing. Even if you know that the bank will approve your loan, do not borrow money. Leave some room in your budget for your savings. It is better to pay for purchases in cash rather than credit. You can really enjoy your purchases if you know that you have paid for it in full before using it.